The Madeley Court Hotel is a stunning example of Renaissance architecture. The most infamous Ghost of Madeley Court is that of a forlorn looking Monk who slowly glides across the grounds, ignoring any attempt at communication before vanishing into thin air. One family suffered an influx of monastic figures sitting upon the cross beams in the Great Hall - very off putting during lunch! Other activity includes frequent reports by staff and residents of Victorian Maids bustling about on the top floor, who are mistaken for people in fancy dress due to their lifelike appearance. However, like the monk they resist all attempts at communication and simply fade away or mysteriously disappear. This special, WeekendHaunts event will begin with your arrival at Madeley Court on Friday night in time to enjoy a delicious 3 course dinner. There will then be a Q&A session and a walk-around preliminary investigation prior to the main event involving our medium plus psychic entertainment. On Saturday you are free to explore the town of Telford or just relax in the lovely surrounds of Madeley Court. Alternatively you can take part in our Psychic Workshop where you will learn, amongst other things, about spirit guides and mediumship and you will be able to use the skills you have learned later that night. * Full English breakfast on Wednesday morning. 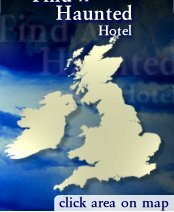 If you're looking for a truly thrilling weekend away, then join us on this WeekendHaunts event at beautiful Madeley Court. The Price for this extra special WeekendHaunts including Dinner, Bed and Breakfast for two nights, psychic entertainment and full paranormal investigation is £259 per person... DATE TO FOLLOW.